I had been saving up for an iPad and waiting for the second gen to come out until recently. The game changer came when I discovered Ken Follett. I started with Pillars of the Earth and just couldn’t get enough. After battling two monstrous hard backs roughly 1,000 pages long I decided it was time for an e-reader. Also, our bookshelves are more than full. I usually handle this by using swap.com but now I don’t want to wait; I want the next Follett book like I need air. Screw the iPad, I couldn’t wait. Monday, home from work because of the blizzard, I suddenly had to have one right now. So I did my research and decided that I either needed to get the Nook Color or the Kindle. The Nook Color appealed to me initially because it’s kind of like a watered down iPad for half the price. It has some pretty neat functionality like web surfing, a few game apps, Pandora and that sort of thing. The device really does mimic the pages of a book, which I love. I have technology ADD. No matter how good the article I’m reading is, I constantly hop over to other tabs to random things and sometimes forget to come back. If I’m on the Nook, I might do the same thing. The Kindle can be read in daylight without glare issues. I don’t exactly sit outside that much but I do read on the bus and inside Starbucks under a large window. The glare on the Nook screen could get annoying. The Kindle has better battery life. 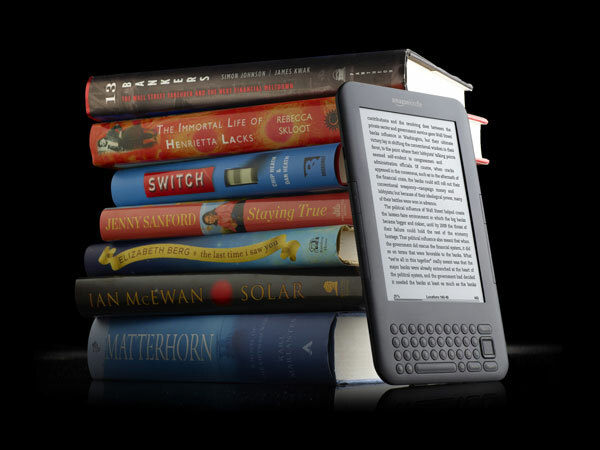 The Kindle weighs half as much as the Nook. This may not seem like much of a selling point but it is when you consider that I’m carrying it around in my cross-body bag with all my other essentials. I can get my email on my smart phone (as well as Facebook and Twitter) so the reader doesn’t really need to do that for me. I also have a netbook if I think I’ll need a computer. Working in an office, I’m in front of a computer all day and have three at home. I’m never far from one. Price: the new Kindle with wi-fi and 3G is still cheaper than the Nook Color by about $70. So far I’m very pleased. I forget that I’m holding a device and get lost in the books just like the paper versions. I miss the smell of books but I’ll never give them up completely. I’ve been using it non-stop and haven’t had to charge it once. The sleep screen delights me with a different picture every time and it fits into my Marc Jacobs like a glove. My Ken Follett fixation continues. Pillars of the Earth, World Without End, Fall of Giants, The Man from St. Petersburg, Trouble Over Water, Eye of the Needle and now on to Whiteout. I love this man. Thank God he’s written a lot of books.